At one point, I received an email from a well-known and respected retired mathematics professor in the US, asking me a question about some details of a Multi-Divo calculator of which the logo had been polished away. That question solved a small mystery for me - why are there so many Multi-Divo machines (the Nordic brand for Schuster's Berolina) that appear nameless ? It turns out the Multi-Divo name is not stamped into the top plate, but is nothing more than a decal, and not a very good one at that - I had never realized that before. However, talking about this machine, he mentioned there was another machine in his collection, which he was reducing in size - this was a Brunsviga B machine, N° 25737, that didn't quite work properly. It was also, like the Multi-Divo, purchased on a trip to Sweden in the early 90s. Instead of throwing it in the trash, I suggested him to sell it to me, because the machine struck me as rather odd - he proposed an asking price of his initial investment, with which I was very happy to agree. 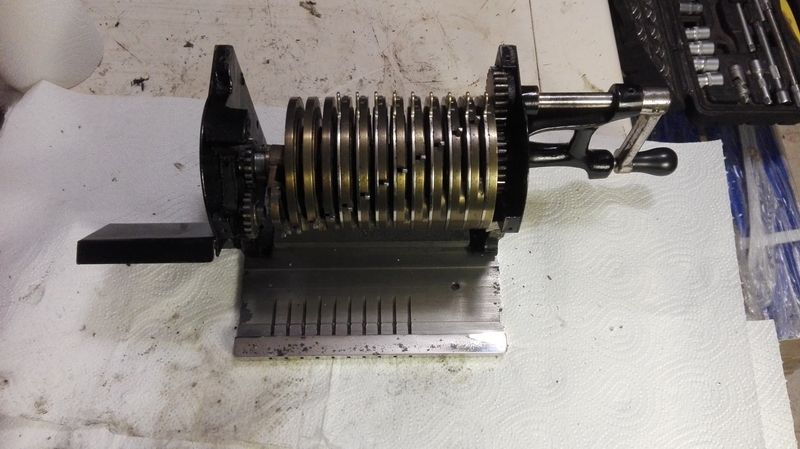 In due course, the machine made it to Belgium, complete with its metal cover, which was in very good condition. 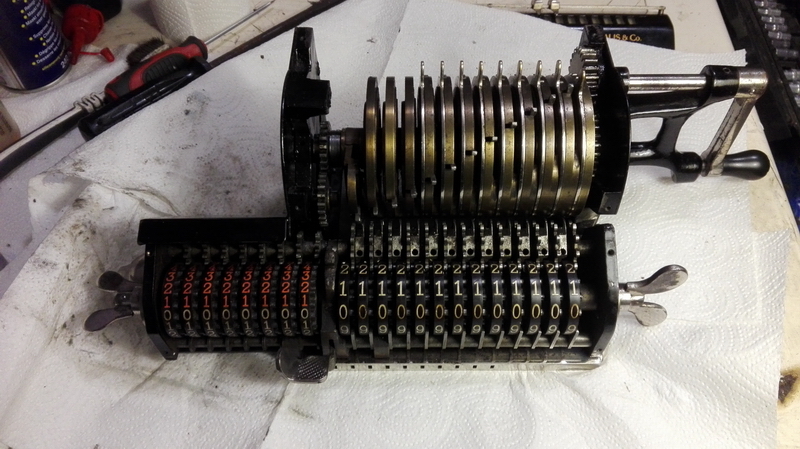 There was indeed a technical problem with the machine, in the sense that one of the tens' carry pins on pinwheel n° 2 was very stiff in operation, so all would go well until the first carry in pinwheel n° 2, and from then on it would always count an extra 1 for every turn. 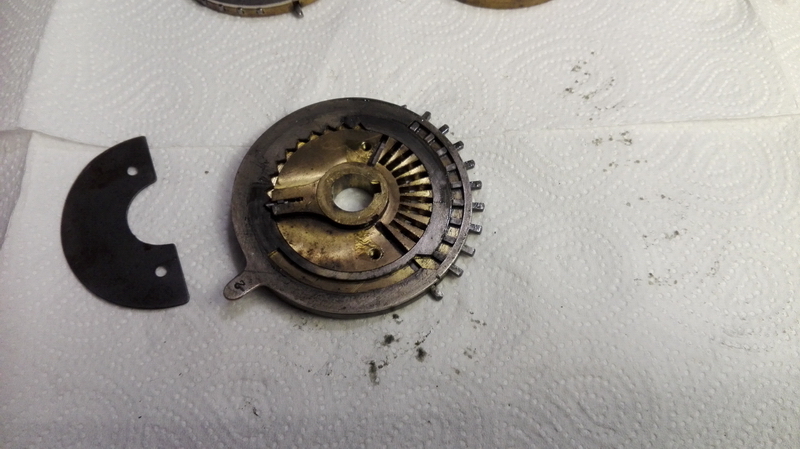 That called for a spot of disassembly and cleaning. The reason was abundantly clear - the three first pinwheels had, at some point during their life, been oiled with something that had turned first to jelly and then to glue. It was a small wonder that all other functions of the machine were relatively unaffected. But let's first get to why this machine is so strange. This is a picture of a Brunsviga with serial n° 24908. It has various refinements: direction indication and an interlock that obliges you to complete a turn once it is started. 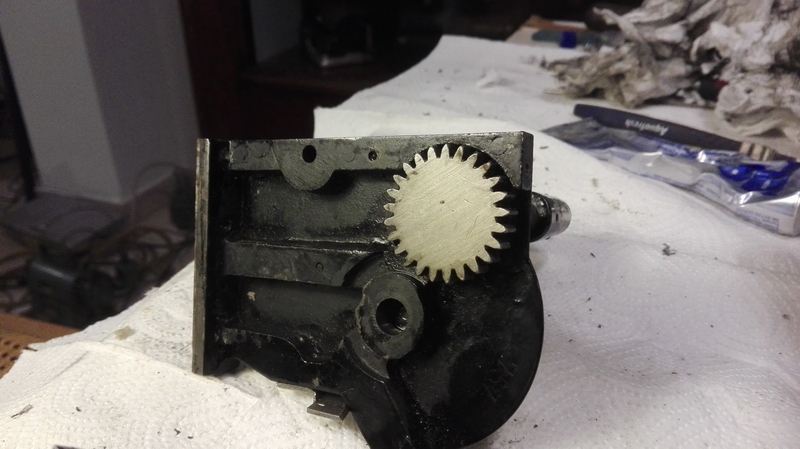 There is also an interlock that prevents clearing of the counter register as well as carriage shift when the crank is not in the rest position. 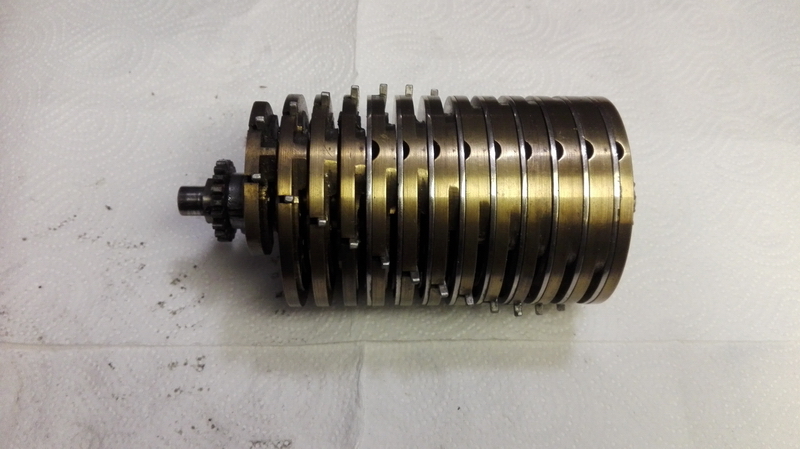 Finally, there is a big wingnut on the left that clears the input register through three extra protrusions on every setting disk, and a rotating clearing comb that resides at the back of the machine. The carriage tabulator unit was an option at this point, which this machine was not equipped with, but you could order it as a useful extra. This machine, however, N° 25737, has none of these complications. It has a pinwheel cylinder without any interlocks, there aren't any other interlocks anywhere else in the machine, and there is no input clearing. 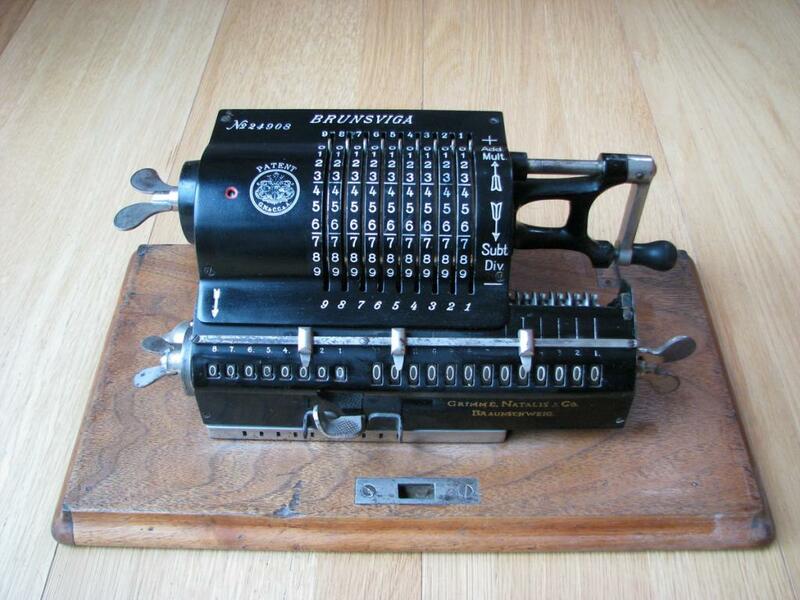 In fact, apart from some design details, it is completely similar to the very first 1892 Brunsviga machines. 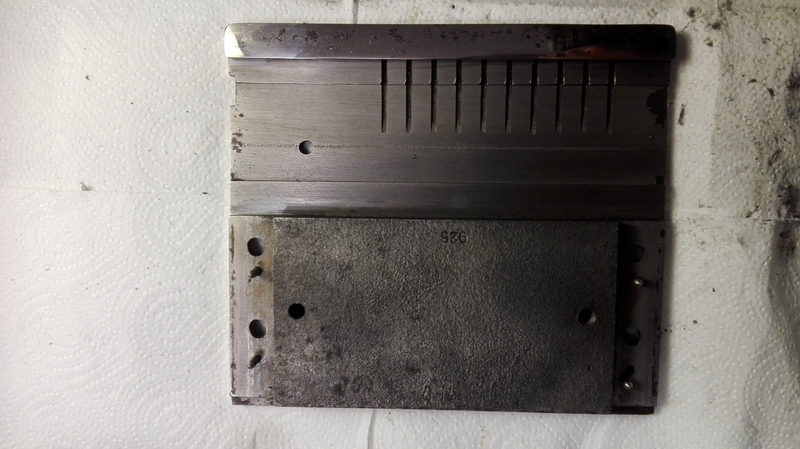 The back, sides and bottom plate are stamped 737 in a large font, whereas everything on the carriage as well as the front of the baseplate are stamped with 925 in a smaller font. Whereas it is conceivable that the carriage would have been exchanged for an earlier one, this does still not explain the extreme simplification in the main body of the machine, and I have a tendency to believe that this is how it was built originally. A nice detail is that the right hand side of the machine has a built-in hard steel ramp for possible extended tens' carry levers to be pushed back to their 0 position, as opposed to breaking them when someone would try to shift the carriage back into the machine with one of them extended. Some details point to the use of parts for the standard machines: there are a number of extra holes drilled in the casting on the left side of the machine that have no function, and the cover for the back of the carriage has the cutout for the interlock for the carriage shift and counter clearing, which simply isn't present at all. 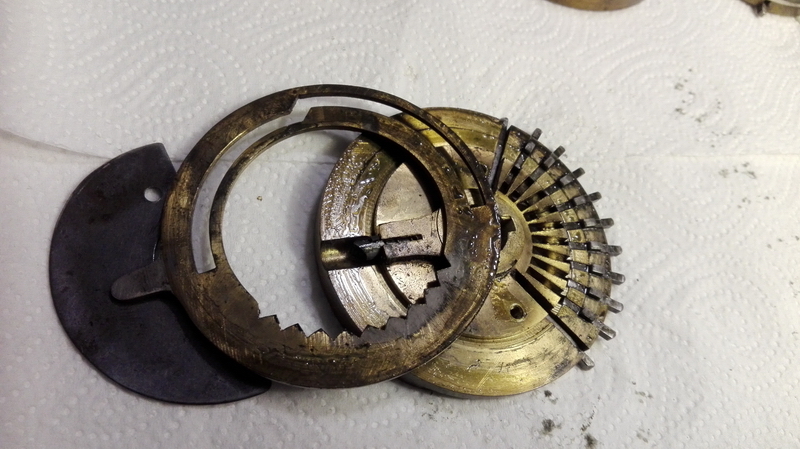 This was without any doubt the quickest restoration I have ever undertaken - the entire disassembly, cleaning and reassembly took exactly 2 hours. 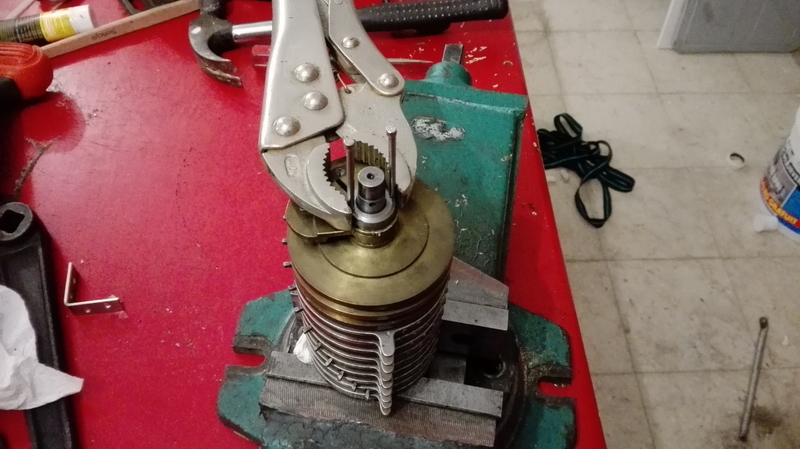 The arrangement for the pinwheel cylinder itself is a little different from earlier practice - the gear for the counter is pinned to the axle, and then there is a cylindrical nut (with a lockscrew) with two cutouts for a special tool to undo it, so I had to get a little creative to get a grip on this. 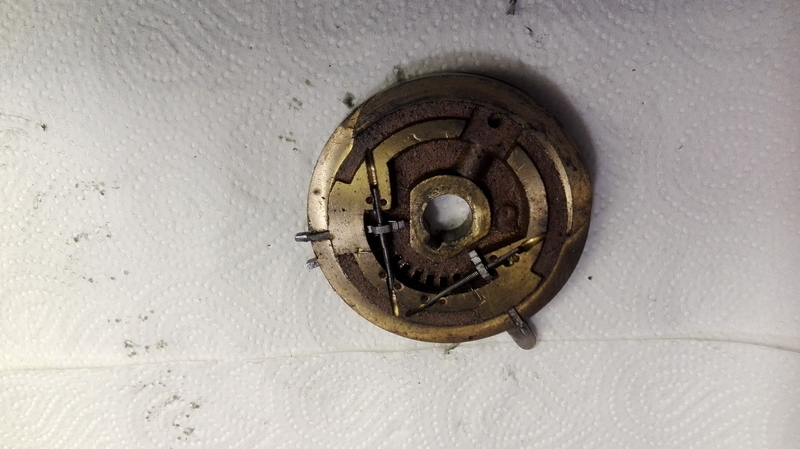 Once this is off, the disassembly of the pinwheel cylinder into the different pinwheels is a 20 second job, and I could start cleaning. All pinwheels were fine, except the last three ones, and the offending tens' carry pin just took some exercise over its entire range, and after 20 or so times, it freed up nicely. 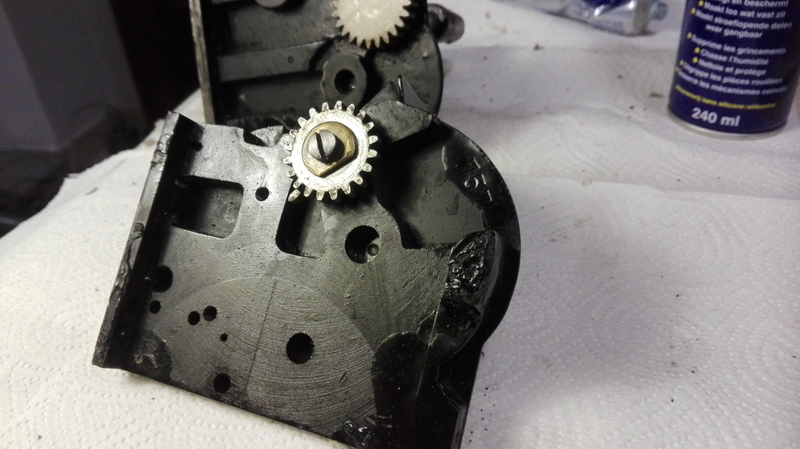 All the old oil was cleaned up, the pinwheel cylinder reassembled (another 20 second job ...), the "special" nut torqued to the correct position for the lockscrew, and the gear pinned back in place. 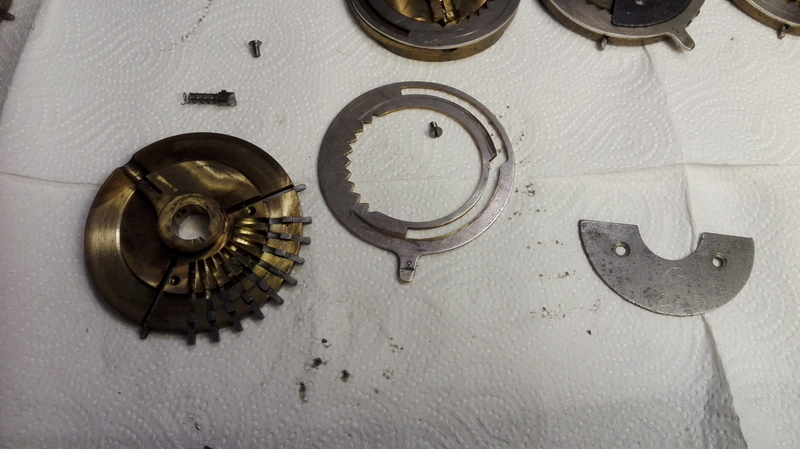 You can see here that the entire machine body really only consists of four parts - there is very little opportunity for error in reassembly! 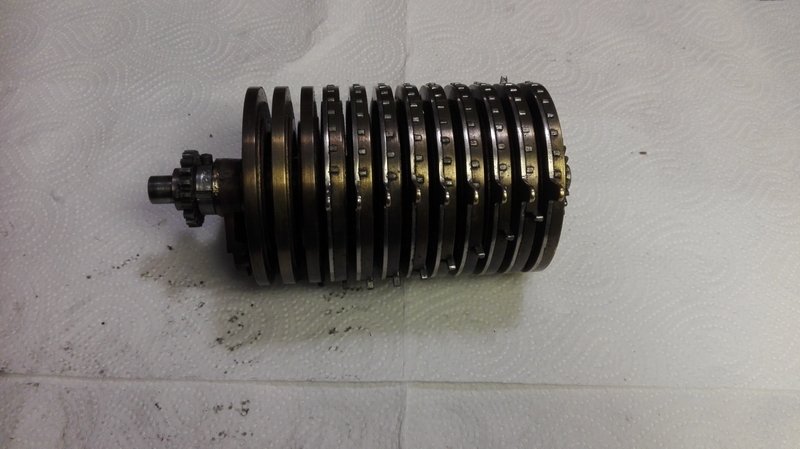 Prior to doing that I cleaned up the machine sides and base, oiled everything that needs oil, and took the carriage cover off for some additional cleaning there. Now I could also test the machine, which performed absolutely flawlessly. Polishing up the carriage front plate and the top plate completed the restoration. It is not known how many BK's were built - in all the model lists they are heaped together with all the other normal B and BI models, but the known serial numbers (of which there aren't many) for this "budget model" follow the trend of being bunched in small batches, in between normal production of Brunsviga B's.